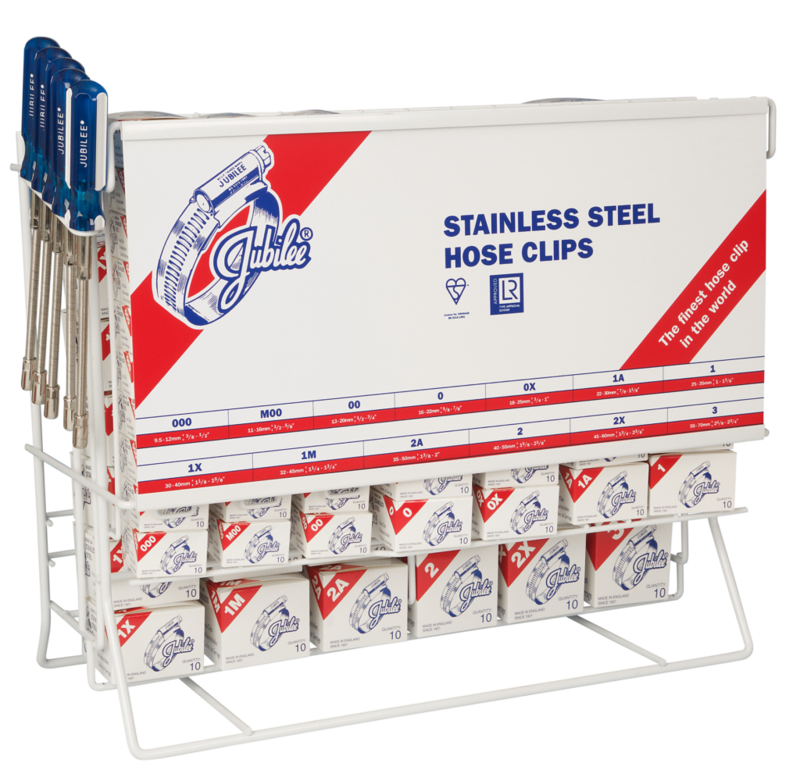 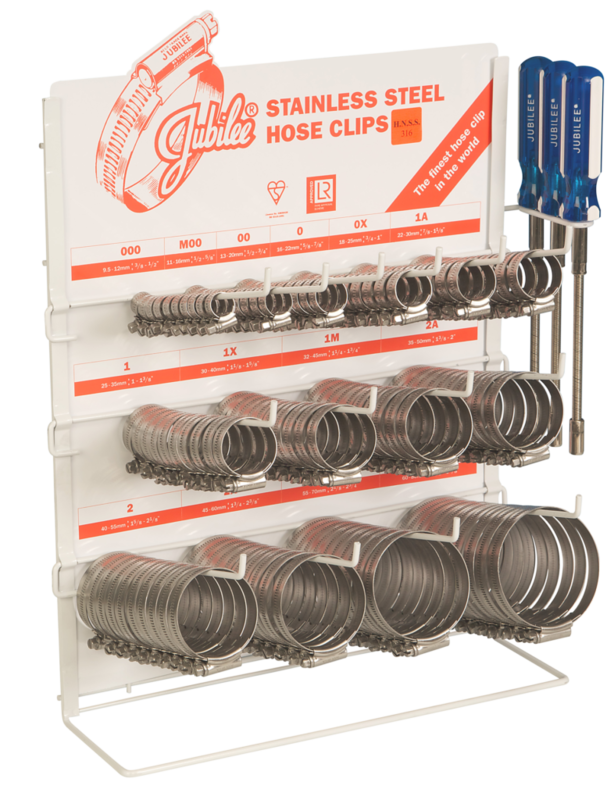 The Jubilee Large Clip Dispenser comes with 140 stainless steel (304 grade) Jubilee Clips, ten each of the most popular sizes of clip, covering an adjustment range from 9.5mm up to 80mm and also includes 3 Jubilee Flexidrivers. 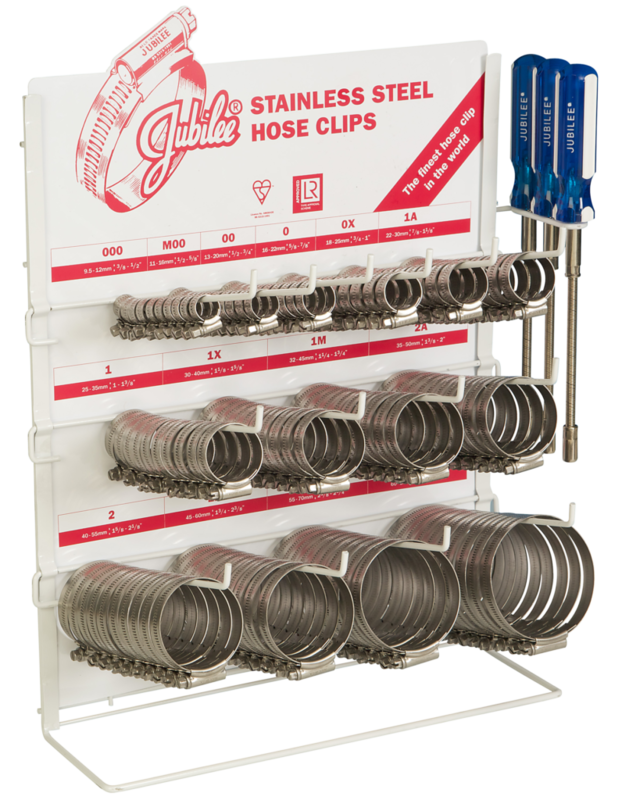 This dispenser has a strong wire frame and can be wall mounted or left free standing, ideal for a trade counter or mechanic’s garage. 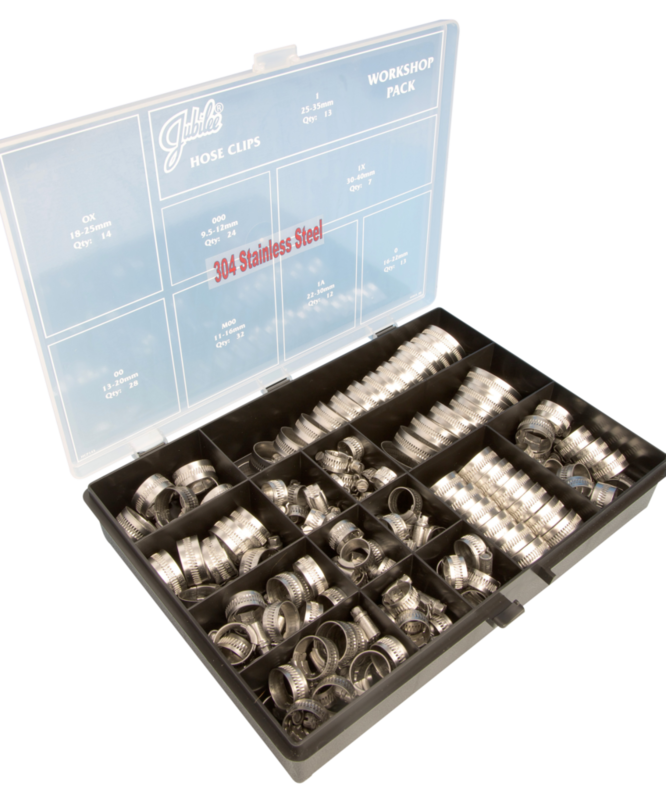 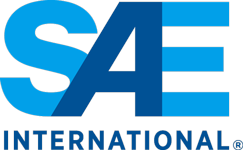 Also available in mild steel (CD140MS) or 316 grade stainless steel (CD140SS316).